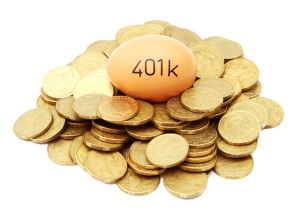 HomeGold IRA Blog401KIs It Time To Convert Your 401(K) To An IRA? Is It Time To Convert Your 401(K) To An IRA? Your 401(k) may be eligible for a makeover – and now might be the perfect time to convert it into an Individual Retirement Account (IRA). Roth Eligibility: If you meet the income eligibility requirements for a Roth IRA, consider rolling your 401(k) account into a Roth. This can benefit you in a few ways. First, a Roth IRA is funded by after-tax dollars, meaning you can distribute the funds later on in life on a tax-free basis since it has already been taxed. If you think your future tax bracket might be higher than what you’re paying now, consider the Roth. Also, there are no required minimum distributions at age 70 ½ – unlike a traditional IRA. Greater Flexibility: Unlike a 401(k), where there are often just a few investment options available to the account holder, you can invest in virtually anything with your IRA dollars. Individual stocks, gold or other precious metals, mutual funds, REITs, exchange-traded funds (ETFs), and much more. Since you’ll have an easier time diversifying your portfolio, you can more intelligently construct your investment plan to meet your short, medium, and long term goals. Most 401(k)s only allow you to choose from a few mutual funds indexed according to when you want to retire. Standardization: IRAs operate differently than 401(k)s because Individual Retirement Accounts are standardized by the IRS – meaning you can expect the same basic set of rules and principles from one brokerage group to the next. A 401(k) is often regulated, to some degree at least, by the company it is operated within. Instead of working within the confines of a corporation that can change some of the rules anytime it wants, consider an IRA to standardize the process. Broker Favors: It is unlikely that an HR manager at your workplace will call you every day and push you into contributing to a 401(k). Conversely, brokers earn a living by creating investment portfolios for their clients. They want your business, and they might just offer you a range of incentives to attract and retain your business. Free or discounted trades, cash, and more could be coming your way – especially if you have a sizeable amount to invest. Wealth Transfer: While a 401(k) will almost always roll to a surviving spouse upon death, an IRA generally allows the account holder to name one or more beneficiaries (primary, contingent, etc.) and move the money in a more deliberate manner. This can help with the management of income/estate taxes more easily than a 401(k) transfer. For more information on rolling over your 401(k) to an IRA – Specifically a gold IRA, contact the gold IRA experts at American Bullion today.